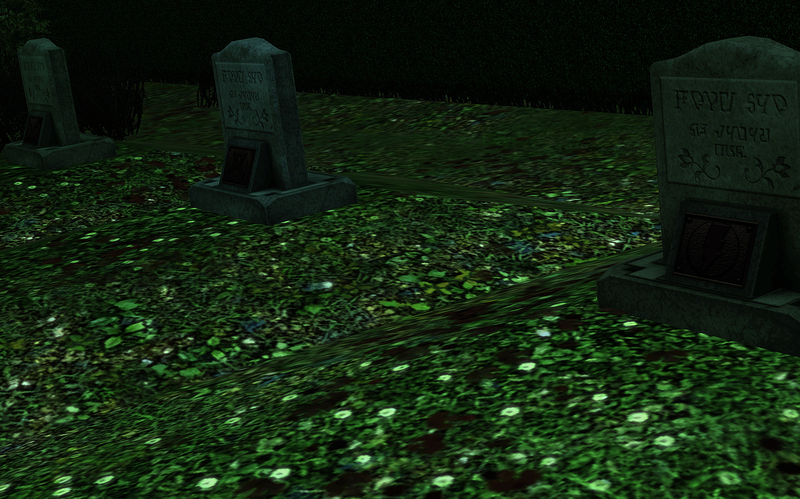 On a warm autumn night, a still silence enveloped Sunset Valley. 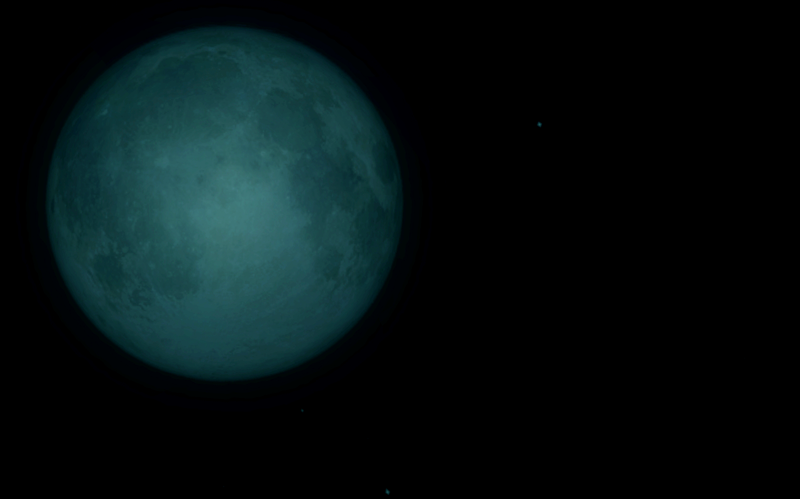 The full moon, rising into full view, bathed everything in a preternatural glow. Arwen couldn’t sleep and she decided to go out for a walk. 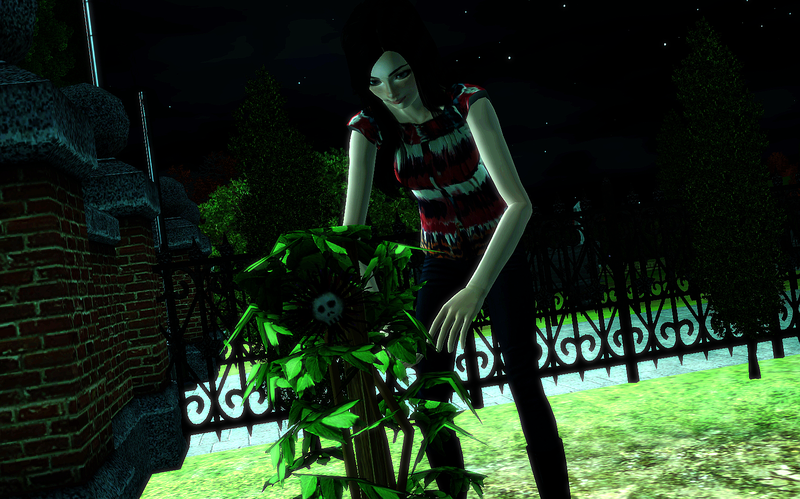 She found herself at the cemetary, picking flowers. She paused to inhale the fresh autumn air. It was so peaceful here… she could hear her own thoughts. Like missing Hank… He’d left to go on tour and might not be back before the Winter Holidays. The thought of spending them without him had put her on the verge of tears ever since he had told her on the phone… Why did she have to fall for a rising rock star? The quiet and serenity surrounding her helped her unleash her feelings and she started crying. Then, Arwen felt a forceful gust of frigid wind strike her. She swept the tears from her eyes so she could see where it came from… but what she saw didn’t make sense. She wiped her eyes harder. 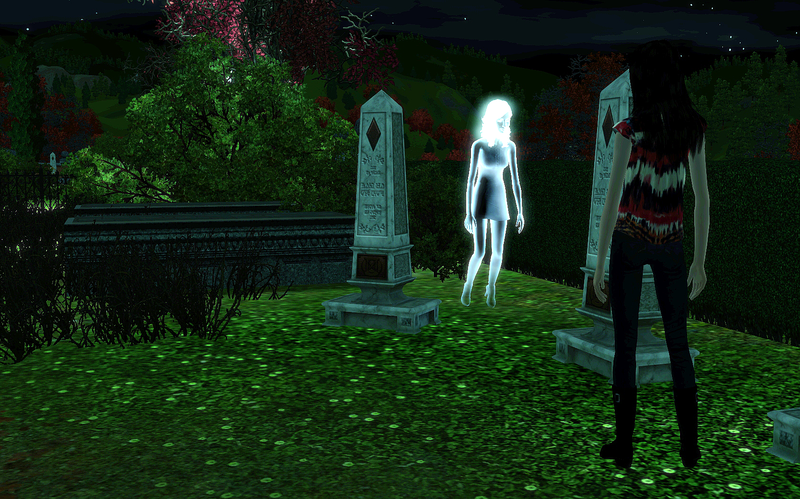 Yet… she was still there, the ethereal woman. 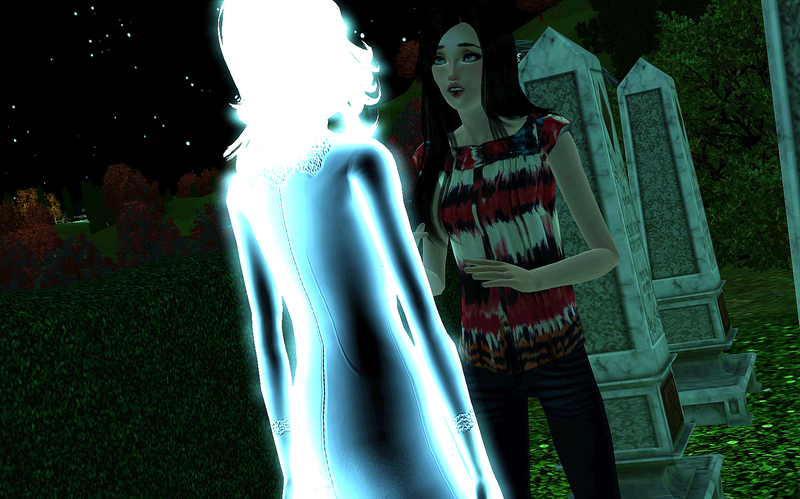 Was she a ghost? 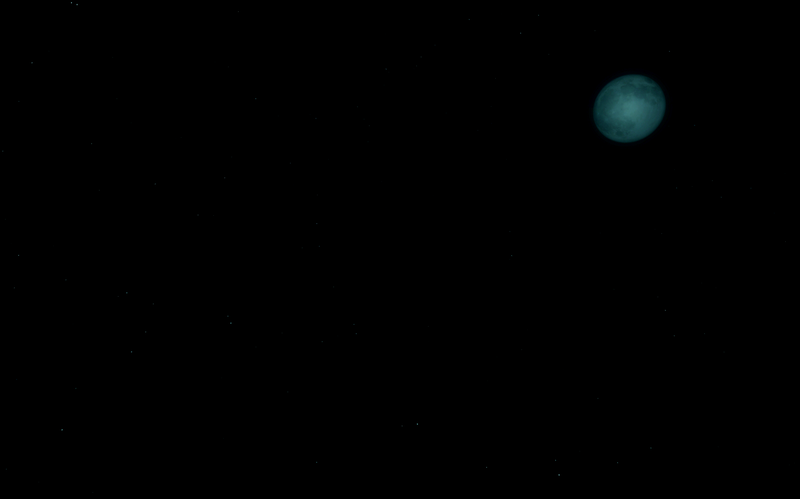 Arwen was transfixed and frozen in fear as the creature floated, yes floated, toward her. Although the ghastly woman smiled kindly, Arwen was scared out of her wits. She probably would have lost control of her bladder had the woman touched her, but she stopped a few inches short of her. 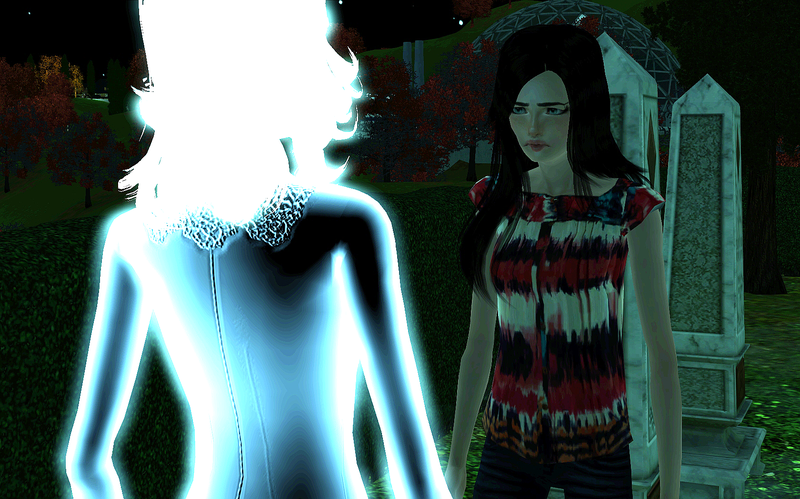 “Arwen…” The ghost — because that’s surely what she was — whispered sadly. “H-h-how d-do you know, m-m-my name?” Arwen stuttered, her breath coming in quick, short bursts as her heart threatened to beat out of her chest. “Are you… dead?” Arwen mustered. The ghost chuckled. “Where are my manners? I’m Rowan.” She extended her hand. 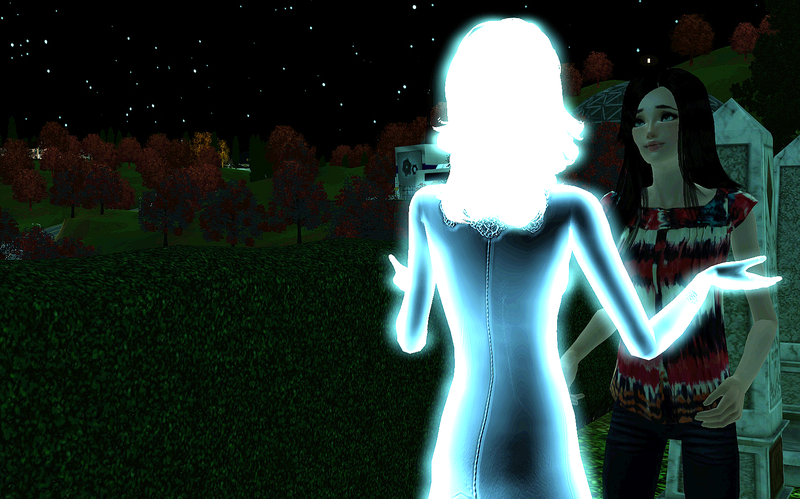 Arwen raised hers slowly and shook Rowan’s hand, almost in a trance. Her hand was cold and empty as air, yet Arwen could still feel it. This moment was so surreal… was she dreaming? 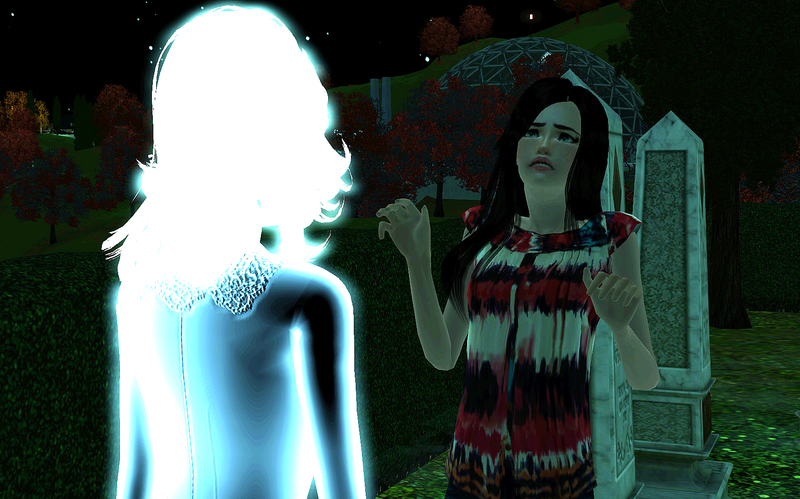 There was something familiar about Rowan, but Arwen couldn’t quite put her finger on it. 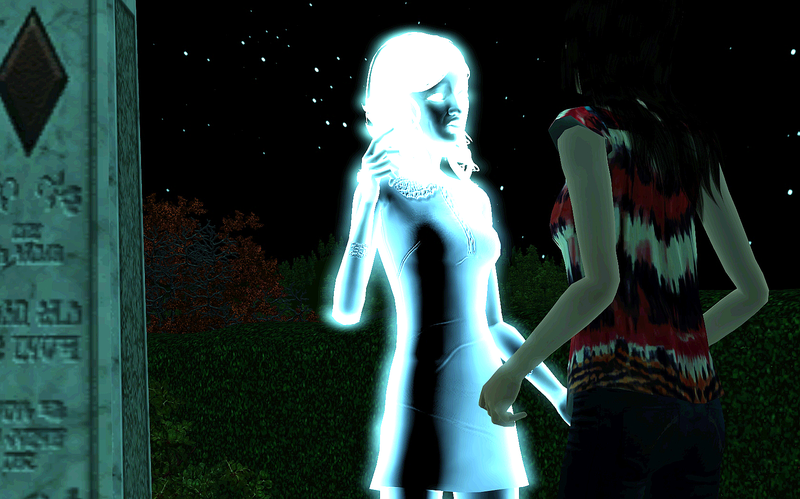 Did she have a ghost stalker? “Are you stalking me? You seem familiar…” Arwen challenged Rowan. “Oh please… Where did you get such notions!” Rowan seemed insulted. 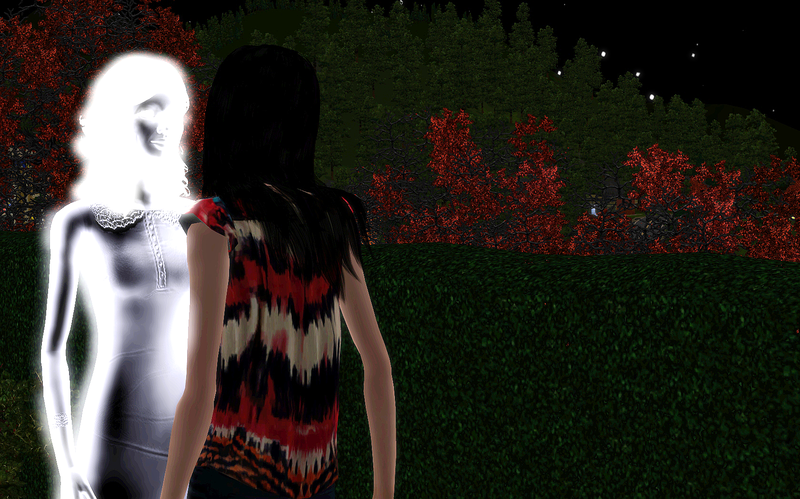 Arwen was taken aback by the ghost’s reaction. Who could she be? For a moment, neither woman spoke. 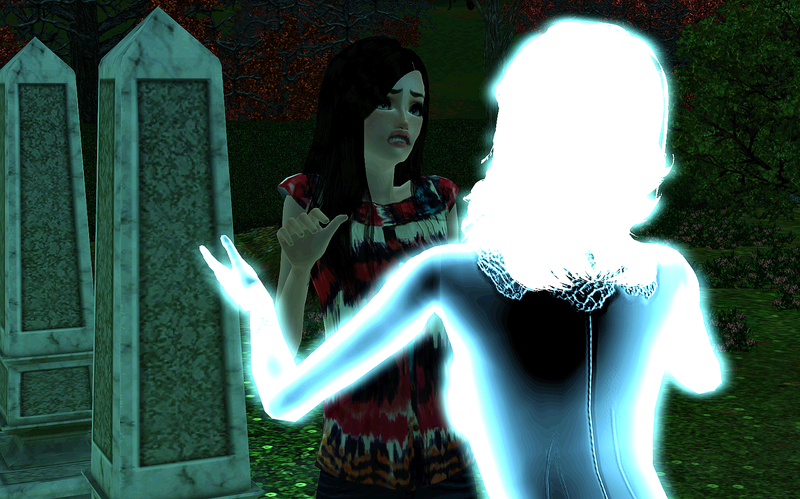 Rowan’s face was filled with anger and ectoplasmic tears. “… Say what?” Arwen was stunned. *Seven Devils by Florence + The Machine. I do not own this music or any other music featured or mentioned in this blog. Wow! 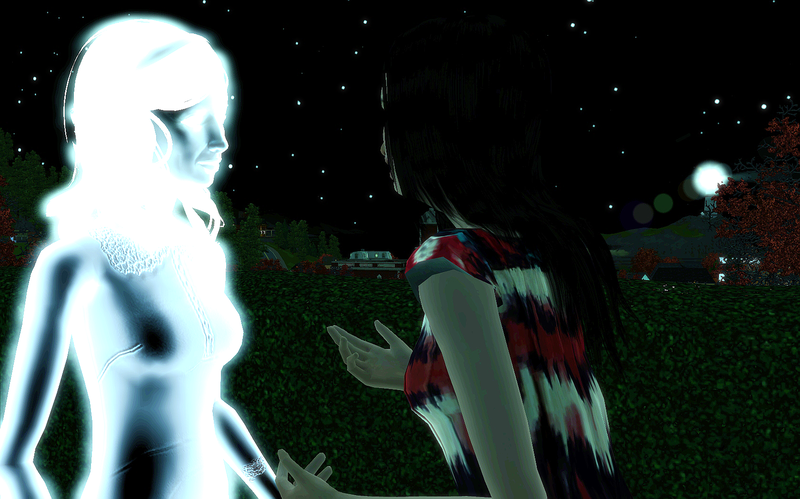 Arwen’s talking to her ghost mother!? :O Now, this is getting interesting. Oh, and the pics in this update were beautiful :D.